Families and couples have been loving vacations and holidays at the Harbour Inn & Resort Club on Lake Simcoe in Ontario, Canada for a very long time. In fact, the Harbour Inn Resort is recognized as Canada’s very first timeshare resort. 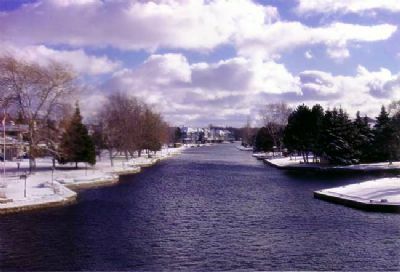 Described by many as “Ontario’s best kept secret,” the picturesque Lagoon City area with its eight miles of inland waterways, attracts savvy vacationers for frequent holidays and retirees who have chosen the region as their ideal spot for year-round living. With access through the Trent Severn Waterway, boaters can even travel by water from Lagoon City all the way to Florida and the Caribbean. 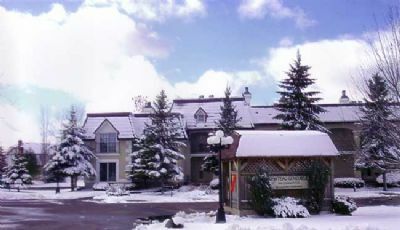 Built in 1979, the Lake Simcoe property in Lagoon City, Ontario, has 43 vacation ownership units, each held by deeded ownership in intervals of one or more weeks. Through paid membership with Resort Condominiums International, Harbour Inn vacation owners expand their travel options with access to exchange their Harbour Inn & Resort Club timeshare interval for vacations at thousands of RCI affiliated hotels and resort worldwide. Designed with comfortable vacationing in mind even the studio units at the Harbour Inn have those extra details that make holidays and getaways more enjoyable. Each studio has a private bathroom, a mini kitchen with two burner cooktop and refrigerator, a queen bed, a queen sleeper sofa, a fireplace, and dining space for four. First floor units have a private patio while second floor units offer a French balcony. One bedroom units have all of these same amenities in a larger floor plan that provides privacy between the bedroom and the living area. Many times over the years, this popular Canadian timeshare resort has earned the RCI-RID Award of International Distinction. Vacation owners and holiday home renters at this Canadian timeshare retreat enjoy the property’s indoor swimming pool, sauna, whirlpool, hot tub, and sundeck with barbeque grills. The resort has ping pong tables and indoor tennis courts for year-round enjoyment. And with bikes, tennis equipment, cross-country ski gear, and pedal boats available at no charge to Harbour Inn vacation owners and guests, having fun is not just easy… it’s free! Contact Harbour Inn & Resort Club Specialist Today! Days: Saturday, Sunday / Time: 4:00 P.M.